“Best of all and far beyond anything money can buy, I love to lean on my elbows at the back of the stalls and watch the curtain rise on my artistes.” – Brian Epstein, 1964. 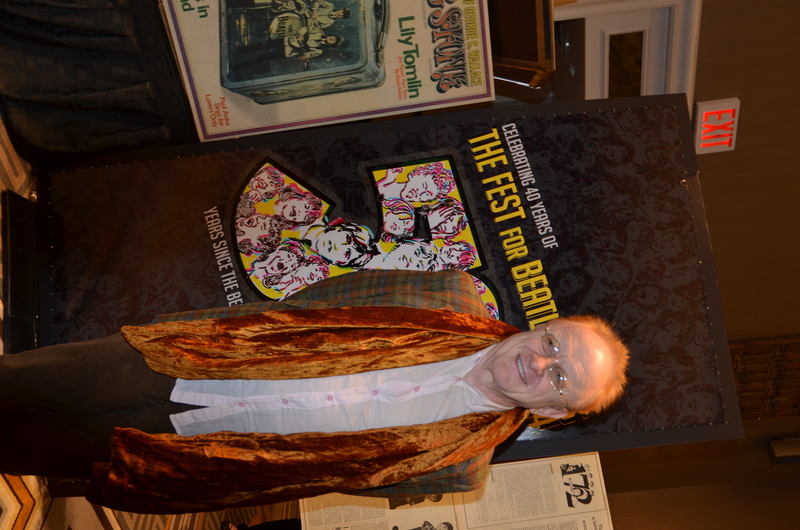 Yesterday afternoon, hours before he would induct Beatles’ manager Brian Epstein into the Rock and Roll Hall of Fame, my friend Peter Asher warned me that his induction speech would be short by necessity. I suspect Peter thought I’d be disappointed that Brian might not get his full due. And yet last night, Peter gave the most lovely, heartfelt, personal, poignant, and informative speech about Brian Epstein that the mainstream public has heard in years, perhaps since Paul McCartney told the BBC “If anyone was ‘The Fifth Beatle’ it was Brian” (and that was in 1999). Speaking of Paul McCartney, let’s get this out of the way: There has been sentiment amongst Beatles’ fans ranging from confusion to complaint about McCartney’s not inducting Brian himself. Well, when Brian died his mother respectfully asked the Beatles not to join the funeral proceedings for fear that the event would become a media circus, focused on the Beatles when the moment should belong to Brian and the people who loved him. The same could be said of last night’s induction ceremony. With no disrespect to the fab Sir Paul, his presence wasn’t missed. Peter took the ball and knocked it from Shea Stadium to Candlestick Park. appearance was not just an appearance but an event. He read a note from Brian’s family who couldn’t be there in person, expressing delight at the induction and only regret that Brian’s brother Clive, his mother Queenie and his father Harry were not alive to witness it– and how proud they would have been. Peter even related a personal experience, observing a fleeting moment when Brian took a step back to enjoy some satisfaction in the success of his artists. Brian rarely gave himself those moments. And Peter often reiterated Brian’s absolute commitment to realizing the Beatles’ wildest dreams—the fact that he considered this commitment his greatest responsibility in life, never wanting to let the band down—and the fact that in the final equation, he never failed them. It’s what made Brian Epstein an excellent manager, mentor, and friend. It’s why he deserves the title Paul gave him in 1999 of “The Fifth Beatle”. And why he deserves the 2014 Rock and Roll Hall of Fame induction last night. have wanted to have been acknowledged and briefly celebrated, but not doted upon. And then he would have wanted to get the hell out of the way, to keep the focus on the artists who create the music. That’s another quality of a great artist manager… and also illuminates why managers are usually the unsung heroes in their artists’ career histories. Indeed, it’s a credit to the Rock and Roll Hall of Fame that they are now inducting artist managers. And it’s another music industry boundary that Brian Epstein has shattered, paving the way for others to follow in his wake. (Last night’s second manager inductee, following fast on Brian’s heels, was his dear friend and ally Rolling Stones manger Andrew Loog Oldham). And then the evening moved on, and was indeed all about the artists. For the next 5 hours, we were treated to a series of glorious music highlights. For me, these included Peter Gabriel’s gentlemanly acceptance and timeless performance, Tom Morello’s outrageously awesome KISS induction speech (and Paul Stanley’s back-atcha); Stevie Nicks having the time of her life giving a powerful vocal tribute to Linda Ronstadt; Yusuf Islam’s performance reminding me what a truly amazing artist Cat Stevens is (now that I’m a father, “Father and Son” blindsided me with unexpected joy and sadness); Bruuuuuce and the E Street Band schooling me on what it really means to be a band of brothers; Daryl Hall and John Oates clearly preferring to rock than talk (and throwing mad props to my second home Philly); Dave Grohl starting by gracefully thanking the many excellent Nirvana drummers that preceded him; and my teenage crushes Joan Jett and Kim Gordon tearing the house down by channeling Kurt Cobain for performances with Nirvana. All eyes in the house were firmly glued to that stage… Except mine, which would frequently wander towards the back of the concert hall… Where swear I saw him for one fleeting moment—leaning on his elbows, a small smile creeping across his face, watching the curtain rise on the many artists inspired by the Beatles legacy he created and protected. But then I blinked, and he was gone. It’s just as well—Brian Epstein would have preferred me to face the music. Congratulations to The Fifth Beatle Brian Epstein, on his well-deserved 2014 induction into the Rock and Roll Hall of Fame. 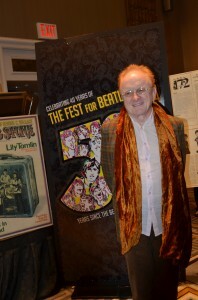 CLICK HERE to read Peter Asher’s induction speech. 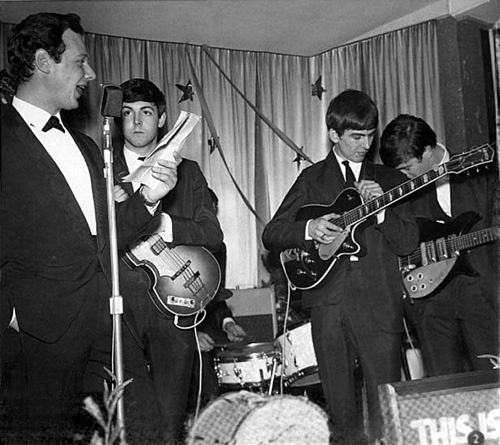 His entry to the Rock and Roll Hall of Fame is long overdue, but Brian Epstein – the legendary manager of The Beatles – will finally get the recognition he deserves on Thursday night. During a ceremony at the Barclays Center in Brooklyn, Epstein will be inducted into the Rock and Roll Hall of Fame. Doing the honors will be Peter Asher. 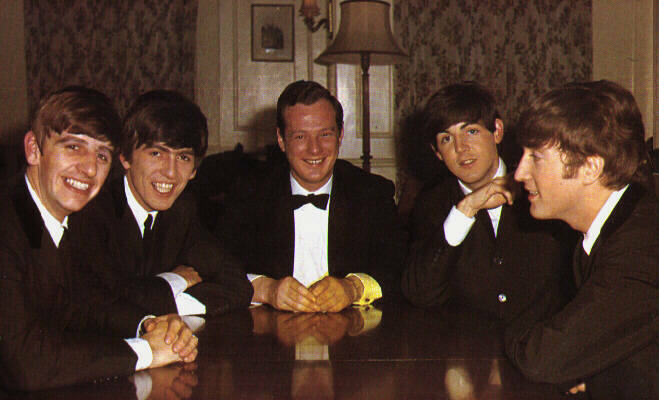 Brian Epstein single handedly changed what it meant to be a rock and roll manager. Before Brian and the Beatles, the assumption was that a pop group’s career was destined to be short and their impact ephemeral. Just as the Beatles changed this whole notion with their brilliant music, so did Brian with his honesty, his belief, his commitment, his faith and his avoidance of the greed and short term thinking which was the norm. Before the Beatles, pop music was not supposed to be imporant – and before Brian no one treated the musicians that way either. He was charming and articulate but in the end his ability to make others believe (as he did) that the Beatles were the best band in the world stemmed from his own absolute conviction that it was true. And fifty years later it is clearer than ever that he was absolutely right! I was proud to know Brian – and when I became a manager myself I looked to his determination, loyalty and style for inspiration. I shall pay tribute to the achievements of these two brilliant men (both friends of mine) as best I can…Brian will be sorely missed as always and Andrew has chosen not to attend but am thrilled to have the privilege of inducting them both into this illustrious organization. The induction being filmed on Thursday night will air on HBO on May 31st.